A major goal of the Post-9/11 GI Bill, which modernized veterans’ educational benefits, was to provide veterans with the opportunity of a debt-free, postsecondary education—or, at a minimum, to mitigate their student loan debt. The Post-9/11 GI Bill increased federal tuition support for veterans and added support for non-tuition expenses to reflect the increased costs of higher education and the unique financial challenges of non-traditional students, that is, older adults who are no longer dependent on their parents. In November 2013, the U.S. Department of Education (ED) released the data files for the 2011-12 National Postsecondary Student Aid Study (NPSAS). 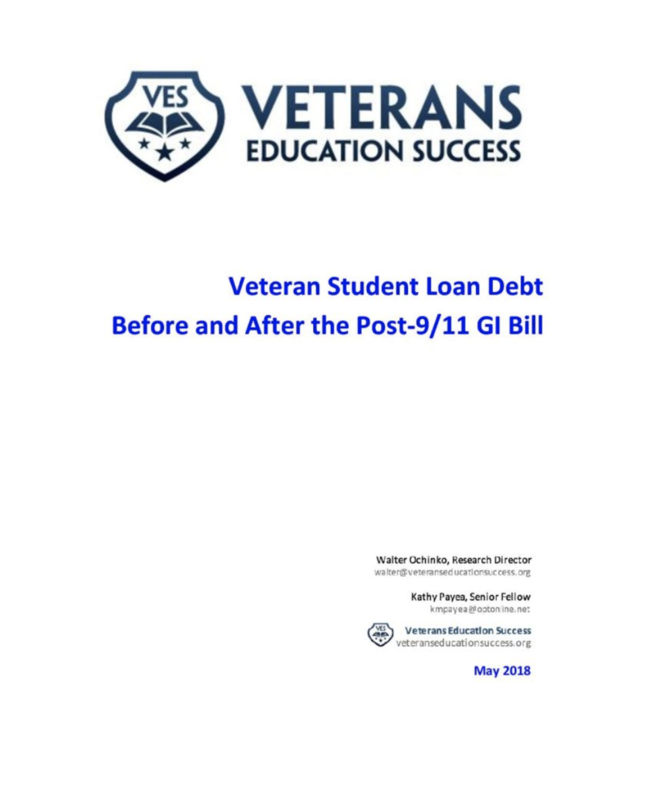 This report analyzes NPSAS survey data from academic years 2007-08 and 2011-12, allowing a comparison of veteran student loan debt before and after the August 2009 implementation of the Post-9/11 GI Bill.